Monsignor Thomas G. Bohlin has been the U.S. vicar of the Prelature of Opus Dei since 2002. Monsignor Bohlin was born on Aug. 3, 1954, in Brooklyn, New York, and grew up in northern New Jersey. He received his bachelor’s degree from Northwestern University and a doctorate in history from the University of Notre Dame. He also earned a doctorate in moral theology at the Pontifical University of the Holy Cross in Rome. 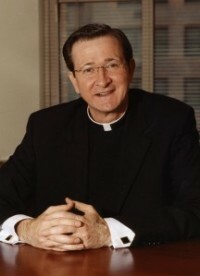 Monsignor Bohlin was ordained a priest for the Prelature of Opus Dei in 1997. 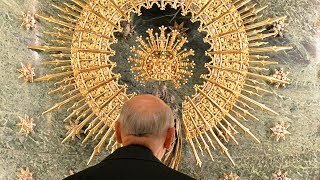 Prior to coming to New York to head Opus Dei in the United States, he worked with the Prelate, Bishop Javier Echevarría, at Opus Dei’s world headquarters in Rome for five years as Chancellor of Opus Dei. Besides his duties as U.S. vicar, Monsignor Bohlin takes part in Opus Dei’s pastoral work in the New York area, hearing confessions, giving classes and preaching retreats. He has spoken about religious themes on programs such as Chris Matthew’s Hardball, Fox News and Meet the Press. New Mediterraneans (III): "From the Wound of the right hand"
"To succeed you need not act like a man"
"Guadalupe: The Freedom of Loving"
Saint Josemaria's "Theology of the Donkey"
4. Saint Josemaria's "Theology of the Donkey"
6. What was the relationship between Jesus and Mary Magdalene? 10. Commentary on the Gospel: "He loved them to the end"